With so many great queso sauces out there, why would we think we could design a better one? Simple. Hatch Valley Green Chile! 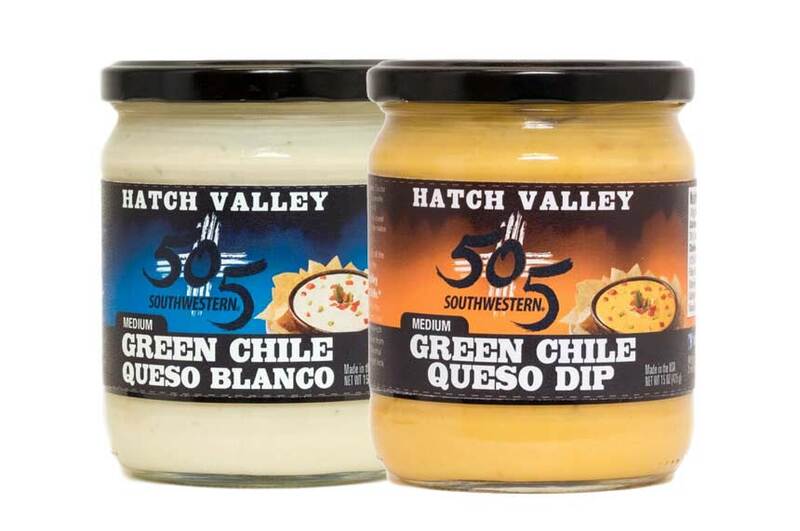 505 is the only brand using Hatch Valley green chile to create an amazing cheese sauce. Ingredients: Monterey Jack cheese, Jalapeños, Hatch Valley green chile and tomatoes. Primary Usage: our Hatch Valley green chile combined with cheese creates the perfect queso sauce for tortilla chips, hot dogs, nachos & more. Available in 16oz glass jars.